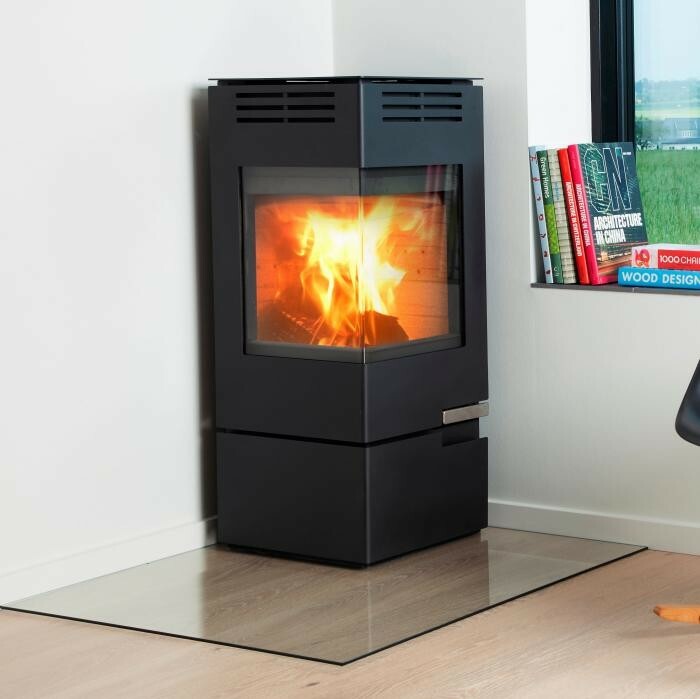 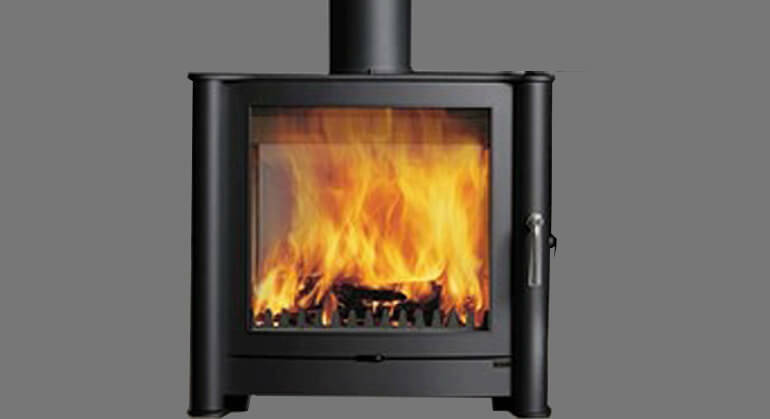 The Aduro 12 is a contemporary cubist wood burning stove with a large corner, glass combustion chamber. 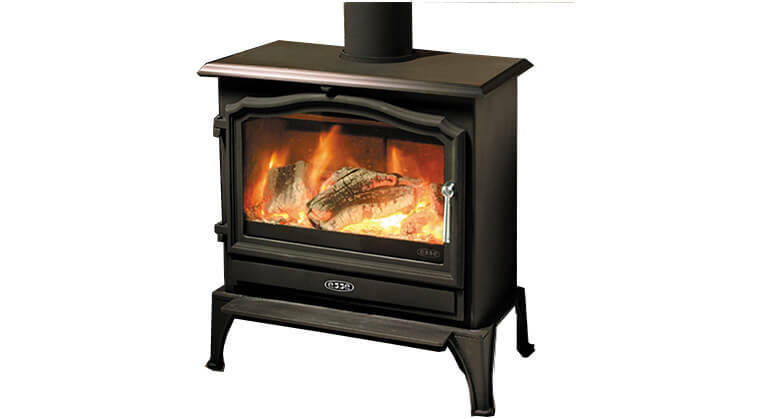 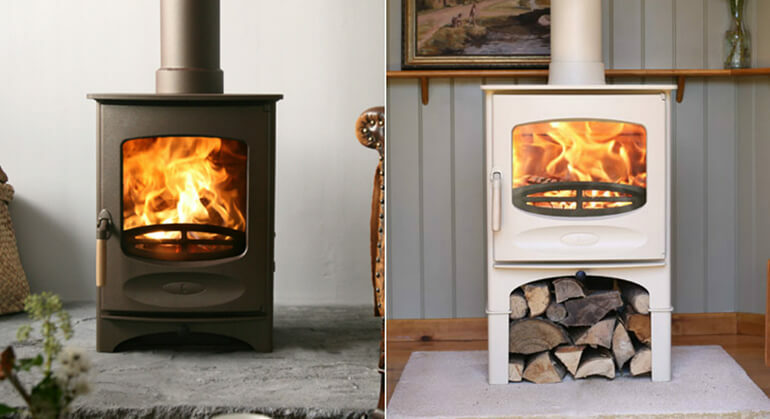 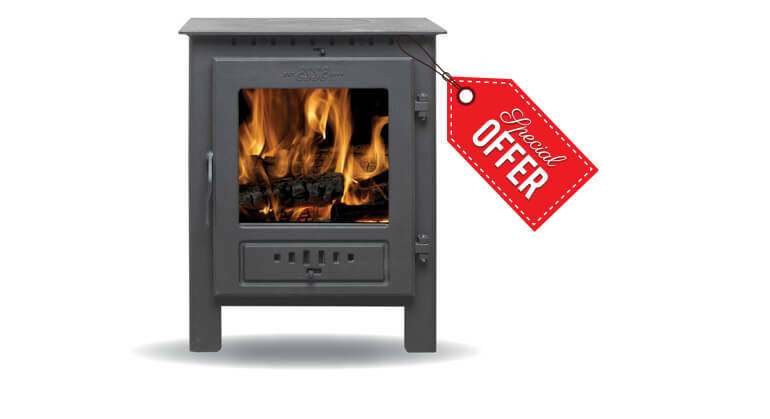 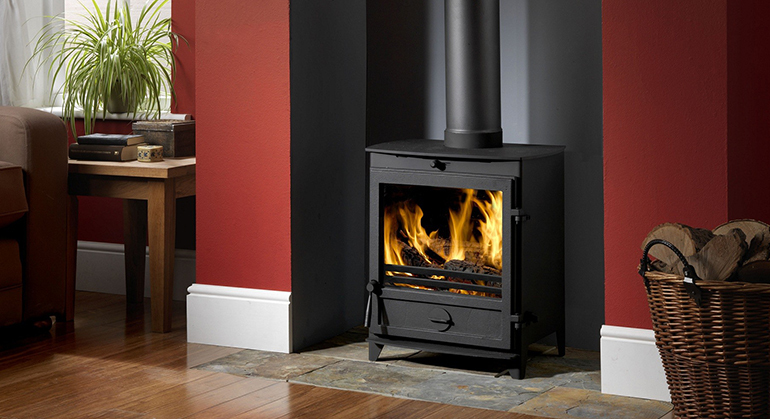 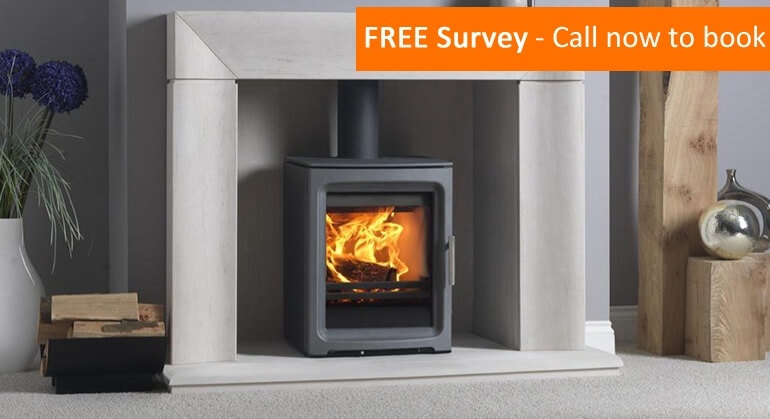 The 12 is the perfect corner stove as the flue outlet can be angled to either side (if you desire the flue outlet on the side of the stove then the special 45° pipe is needed, this can be added to the order below). 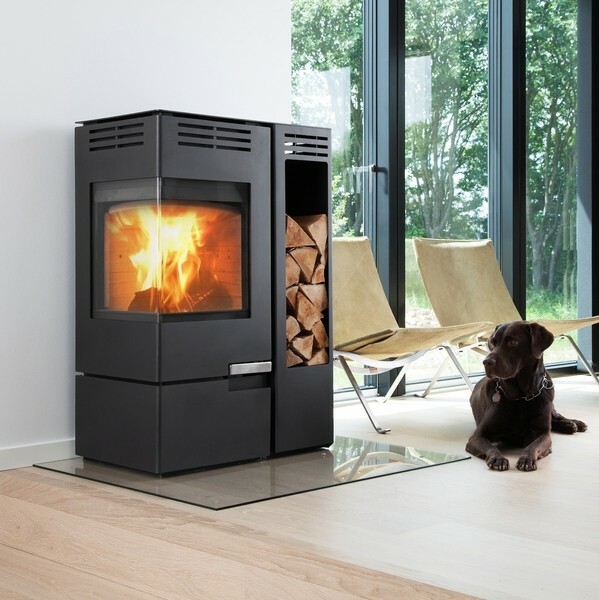 The Aduro 12 is also available with the firewood storage module which would be best suited on a straight wall, this comes with a new top plate to ensure that the side storage is nicely integrated with the stove. 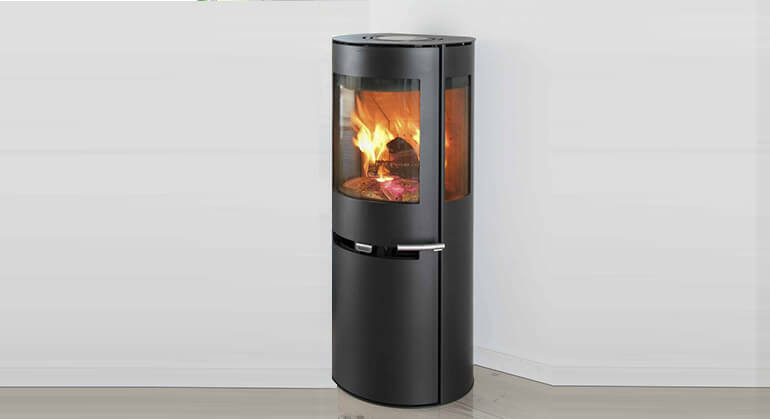 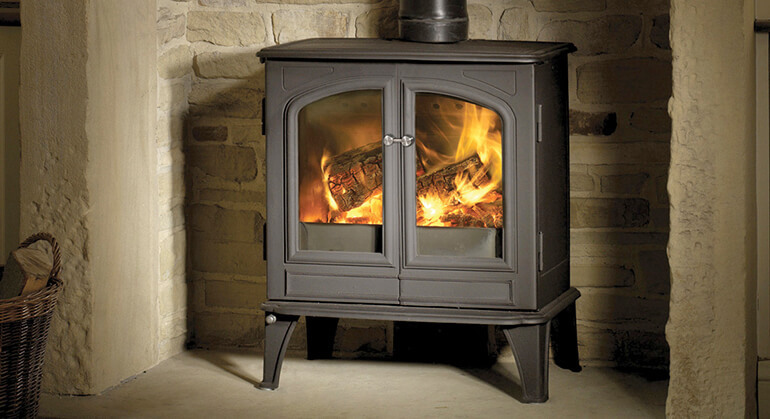 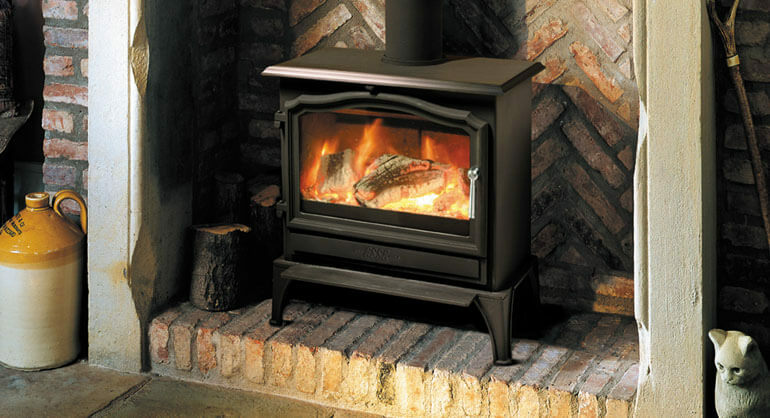 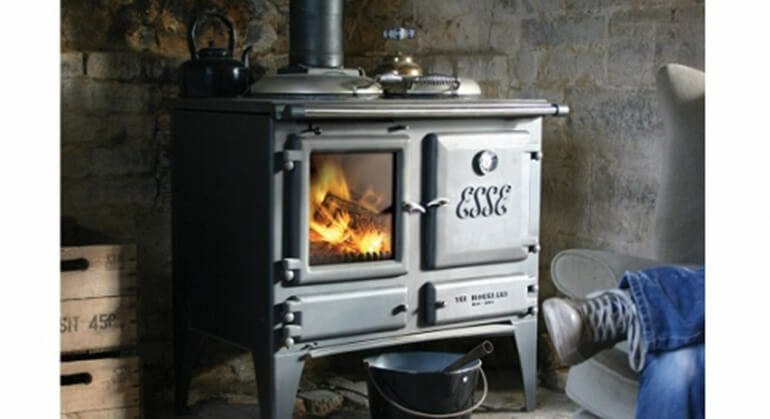 This stove also offers an external air supply, this is where the air for combustion is connected from an external source directly to the stove and remains well hidden either behind or underneath the stove to ensure that the design is not affected. 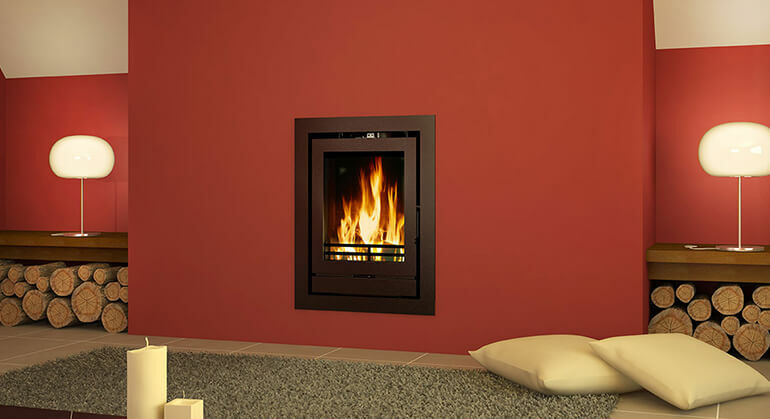 This is suited for well insulated homes.